Adrianne Murphy introduces Sally Galiana’s interview with Lucky Khambule, one of the founding members of Movement of Asylum Seekers in Ireland (MASI) about the Direct Provision regime imposed by Irish authorities on asylum seekers in Ireland. 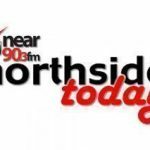 Later, Adrianne speaks with Mister X, an anonymous asylum seeker who explains the realities of Direct Provision. Amid a troubling global context – the dehumanisation of migration policy, a decline in sensitive to human life and human rights, a rise in Islamophobic and xenophobic speech, the commercialisation of journalism – more than 150 European radio outlets and nearly 1,300 journalists from the eight RESPECT WORDS partner countries represented by IPI (Austria), Radio Dreyeckland (Germany), ERT (Greece), Civil Radio (Hungary), Near FM (Ireland), Radio Popolare (Italy), Radio Student (Slovenia) and the project coordinator EMARTv (Spain) have joined together to help strengthen media coverage of migrants and minorities, an indispensable tool in the fight against hate speech. 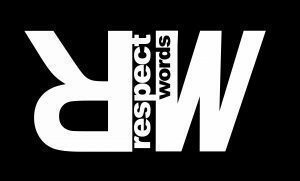 Under the theme “Ethical Journalism against Hate Speech”, the RESPECT WORDS project focuses on the need to rethink the way in which media outlets and journalists cover issues related to migration and ethnic and religious minorities. As part of the project, each partner is producing a series of 20 programmes exploring how media deals with migration and minorities in each partner country.